Here at Hydroblast we are able to offer innovative solutions to breaking out concrete, a task that can often be difficult, lengthy, and dangerous. 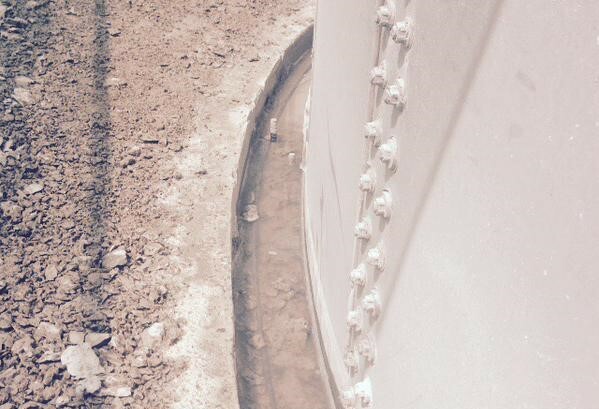 This service was required by a company that installs and refurbishes glass-fused-to-steel tanks. During their work, they would sometimes have to take down or rebuild tanks, which involves breaking the concrete away from the base of the tank. The traditional process of breaking out concrete often involves pneumatic or electric breakers, which the client had previously been utilising. However, such methods have been linked to Hand-Arm Vibration Syndrome (HAVS) for the workers using them. Hand-held breakers transmit vibrations through the hands and arms, which can then lead to nerve damage and affect bloody supply over a long period of time. If exposure to these vibrations is continued, it can lead to no feeling in your hands and fingers, difficulty with picking up objects, and/or intense pain. It’s therefore extremely important for both employers and employees to be aware of in situations where workers are exposed to such vibrations. In addition to the health dangers of these methods, the process had been slow and costly for the company. In some cases they would be using teams of three or four men who would work over a three or four week period to break out the concrete from the base of a tank. This is a considerable amount of time to be spending on breaking out concrete alone, making the restoration of their tanks a long time commitment. Alternatively to the traditional, dangerous and time consuming processes employed by many, we utilise a much safer and more efficient method of concrete breakout in the form of ultra high pressure water jets. Our ultra high pressure water jetting equipment and fully trained operatives are able to remove a vast amount of concrete in a much quicker time frame than traditional methods can achieve. There are many benefits of using high pressure water jets instead of traditional methods when it comes to breaking out concrete. 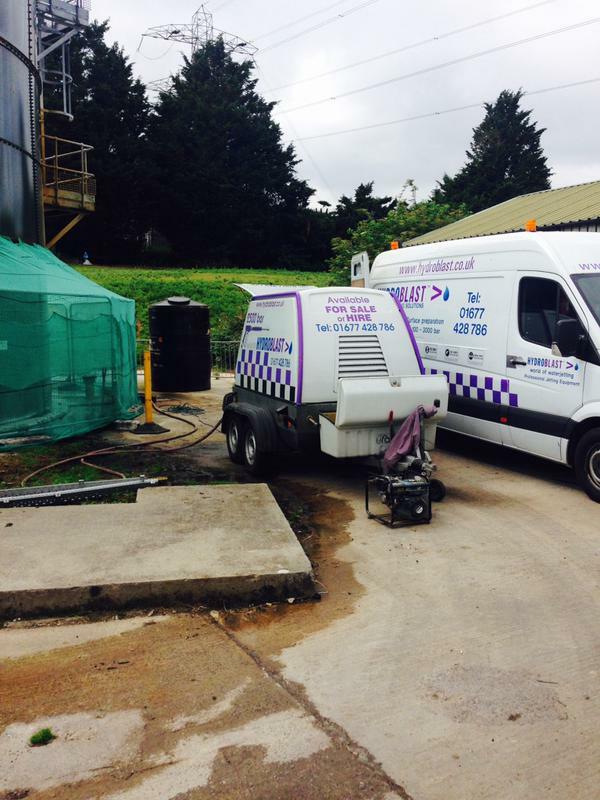 Safety is one of the immediate advantages to this method, as our specialist water jetting equipment doesn’t produce dangerous vibrations for our workers. Another key advantage to high pressure water jetting in concrete breakout is the accuracy that the jets can be operated at. Our robots and machinery can be controlled with the upmost precision, making it the ideal method for removing parts of a structure and keeping other sections untouched and intact. Also importantly, the lack of vibrations mean that remaining structures are kept undamaged, unlike with the method of pneumatic or electronic breakers which can often lead to chips and cracks that can damage and weaken surrounding structures. For more advantages of the method of hydrodemolition, take a look at our guide. For this client, we utilised our water jetting equipment to break out the necessary concrete quickly and without the risk of HAVS. We were able to complete the task in as little as 3 days; an excellent result for the client who had been used to a much longer process. If you would like more information on our concrete breakout method or have questions regarding a specific job, please get in touch and we will be happy to assist.